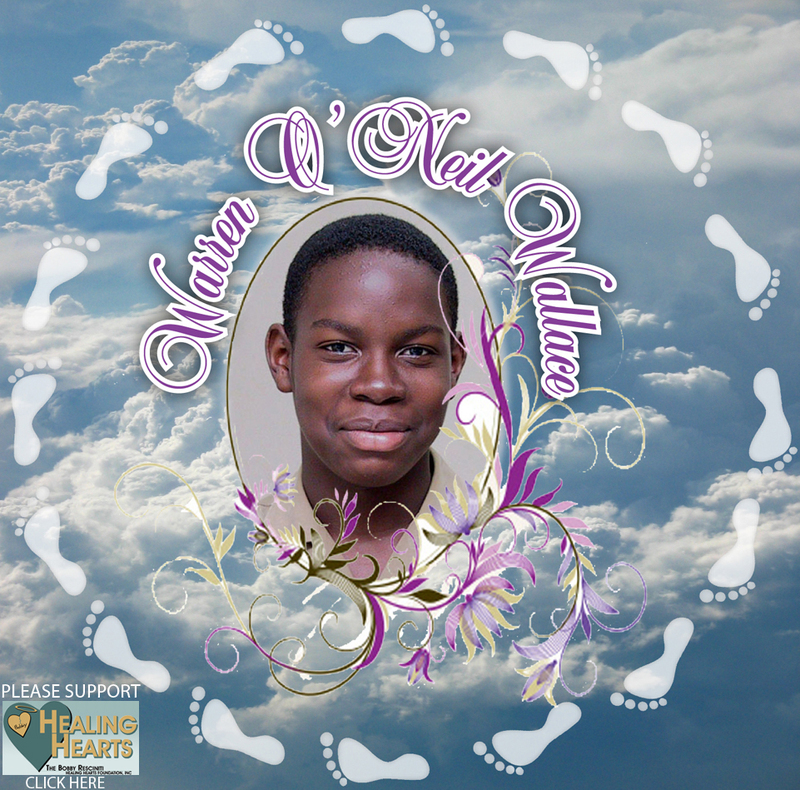 In Memory of Warren O'Neil Wallace - One Sweet Kid - Gone too soon! The home page has my image set in an oval. The oval itself is set in a floral arrangement. In the background are clouds in the sky with footprints going around my image. I had a habit of powdering my feet after showering or after just washing them. To my parents' amusement I would leave my powdered footprints all over the house. Similarly I have left them all over their hearts. The rest of the image is as if I'm looking down on them through an oval window decorated with flowers, one of my first loves. The footprints are active links and clicking my image provides a site map. The website is by an intuitive web designing amateur (Dad) I was one of his most strident critics, LOL! Please give him a break and remember it's still in progress. My parents Pauline (Pëë), Lämbërt (High±öwër) and the rest of family, thank you for all the prayers, well wishes and support over these difficult years. Thanks for visiting.